Has gubernatorial candidate Matt Flynn been consistent on position to stop Foxconn deal? By D.L. Davis on Thursday, August 2nd, 2018 at 10:53 a.m.
Gov. Scott Walker’s massive deal with Taiwan-based Foxconn has created a political debate that is, well, spirited. Proponents tout the 13,000 jobs Foxconn has said the operation will create; opponents cite the $4 billion in taxpayer incentives and the potential negative impact of the $10 billion electronics factory on the environment. Foxconn has been a central point cited by the eight remaining Democrats vying in the Aug. 14, 2018 primary for the right to take on Walker in November. In some cases, their positions are hard to keep track of. That brings us to candidate Matt Flynn, a former state party chairman. "In my view, the correct approach for Wisconsin is to remove Walker's desperation from the equation and focus in a professional way. Professional negotiators who have the good of the state in mind, rather than Walker's, should reopen the dialogue with Foxconn." "I will live up to all contractual commitments. I’m not looking to somehow sabotage anything." Hmm … that seems to conflict with Flynn’s more recent pledge that he will go to court to stop the deal. 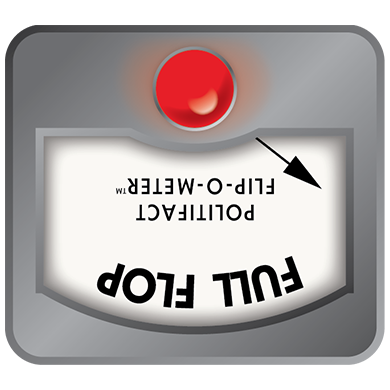 So, we’re rolling out our Flip-O-Meter -- and with it, our regular reminder: The Flip-O-Meter rates a person’s consistency on an issue, not whether any change is good or bad policy or politics. Has Flynn been consistent on whether he would seek to undo the Foxconn deal? Our starting point is that quote from Oct. 12, 2017: "I will live up to all contractual commitments. I’m not looking to somehow sabotage anything." After that, his position appeared to shift, or did it really? December 23, 2017: In an interview posted by the Capital Times, Flynn said if he is elected, he will stop the state's Foxconn deal "no matter what." April 6, 2018: In a visit to Eau Claire, Flynn declared: "That contract is one that I will end the minute I get into office through litigation." He criticized the size of the subsidy, made claims about the company’s track record in China, and slammed Walker and Republicans for "letting them take water out of Lake Michigan." June 18, 2018: In a news release, Flynn said "Walker got taken to the cleaners in the Foxconn deal," and then declared: "Here's how I'll stop it with immediate litigation." June 28, 2018: At a protest rally on the day of the Foxconn groundbreaking, Flynn said: "It's an illegal contract and illegal contracts are not enforceable in the state of Wisconsin." He also claimed the deal "over the course of 15 years will bring the state close to bankruptcy if we want to fund our public schools and University of Wisconsin. It's a very crooked deal." July 19, 2018: In a statement on the Forward with Flynn website, Flynn said "The Foxconn deal is the worst economic development plan in history. It is also unconstitutional. As governor, I will bring litigation to rescind the contract on Day One. Foxconn can come here, but they will have to follow our laws and they will not get our tax dollars." If anything, Flynn’s rhetoric has become sharper and clearer as the campaign has gone on. 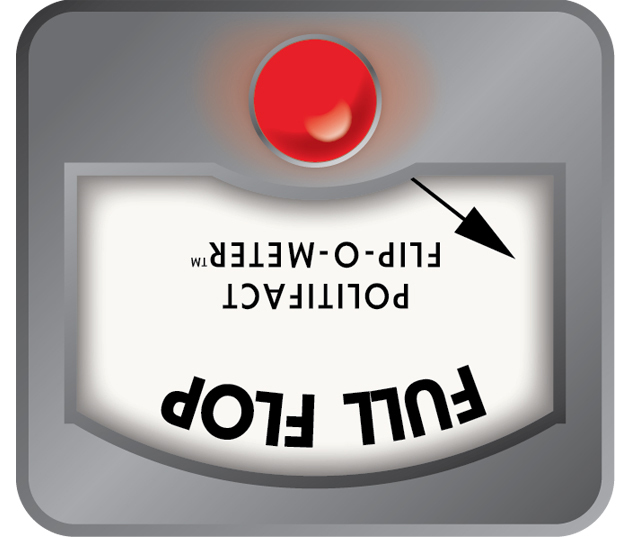 In a telephone interview with PolitiFact Wisconsin, Flynn said, "my position on Foxconn is, and always has been, that that contract must be terminated." He noted he has even run a TV ad stating he will "stop this contract." "From my August Op-Ed piece to the present, I have made it clear that until we a get a court order terminating the contract, we will live up to our commitments and will not surreptitiously sabotage this contract. … I want to legally break the contract by filing a lawsuit in federal court. I do not want to sabotage the deal by failing to live up to our commitments." But that statement does not entirely add up. First, the August 2017 opinion piece in the Journal Sentinel does not mention a court order for terminating a contract or the state living up to its end of the bargain until it could be undone in the courts. In fact, the piece was written before the deal was approved by the Legislature. What’s more, the "no sabotage" statement came two months later, in the WisconsinEye interview. In that interview, Flynn said at least three times in response to questions that he would "live up to contractual commitments" and would not "breach a contract" with Foxconn. He also said "going forward the state should know that I won’t be entering into these kinds of deals" and of Foxconn said: "If they don’t abide by their commitments I’ll take action on that." Again, no mention was made of unilaterally undoing the Foxconn deal or the deal being illegal or unconstitutional on its face. The only reference that hinted at legal action suggested it might come if the company did not follow through on its commitments. While Flynn says otherwise, his public statements on the Foxconn deal have not been consistent. Before the deal was approved, he wanted to reopen it. Once it was approved, he indicated he would "live up to contractual commitments" and would not "breach a contract." More recently, he says the deal itself is "illegal" and "unconstitutional" and that he would stop the state's Foxconn deal "no matter what." We give Flynn a Full Flop. Published: Thursday, August 2nd, 2018 at 10:53 a.m.
WisconsinEye, October 12, 2017, at the 2:40 mark. Milwaukee Journal Sentinel, "Many Foxconn jobs won’t be in Racine County, a company executive says." June 11, 2018. Milwaukee Journal Sentinel, "Even before it’s built, new Foxconn plant is out of date by environment standards." June 25, 2018. Matt Flynn, "Forward with Flynn" website. Matt Flynn, "Forward with Flynn" website. "Where Each Candidate Ranks on the ‘Foxconn-O-Meter," July 19, 2018. Milwaukee Journal Sentinel, "Flynn: Let’s renegotiate the Foxconn deal." August 10, 2017. Madison Capital Times, Matt Flynn touts CEO mentality in run for Wisconsin governor." Dec. 23, 2017. Twitter: ForwardWFlynn, "Walker got taken to the cleaners in the Foxconn deal. Here's how I'll stop it with immediate litigation." June 18, 2018.